Stay in Schloß Schönbrunn, one of Austria’s best-known tourist attractions, where Emperor Franz Joseph and Empress Elisabeth once had their private chambers. 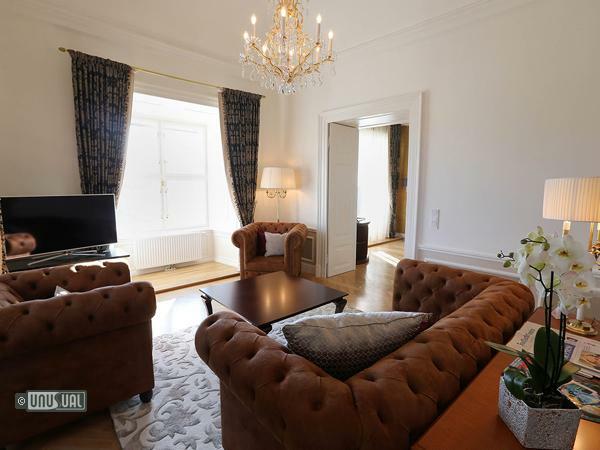 This apartment on the top floor of the east wing of Schönbrunn Palace, was once reserved for close relatives of the imperial court, and has now been converted following a carefully monitored refurbishment project. 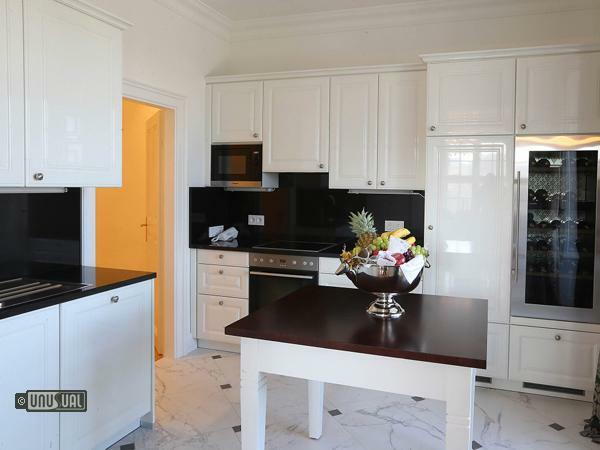 This apartment on the top floor of the east wing of Schönbrunn Palace, was once reserved for close relatives of the imperial court, and has now been converted for guests following a carefully monitored refurbishment project. Guests are able to dine like an emperor and sleep like a princess in a 167m² suite that exudes imperial charm at every turn. The Schloß Schönbrunn Suite project is a first for Europe. 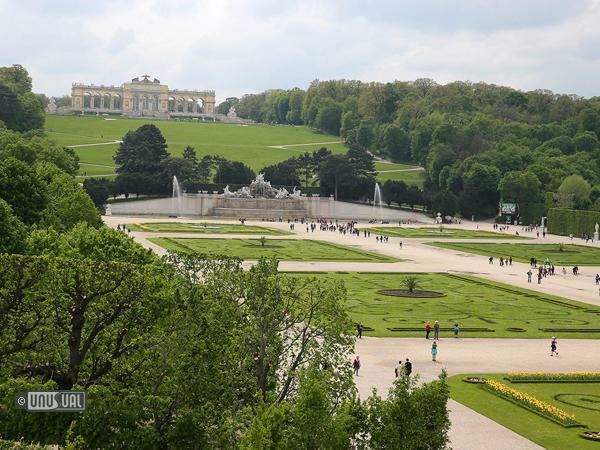 Thanks to the kind support of Schönbrunn Palace, you now have the chance to stay at one of Austria’s best known cultural treasures. Hotel services are provided by the nearby Austria Trend Parkhotel Schönbrunn, which in the past was used to accommodate the Emperor’s house guests. Fans of royal pomp will be in their element. 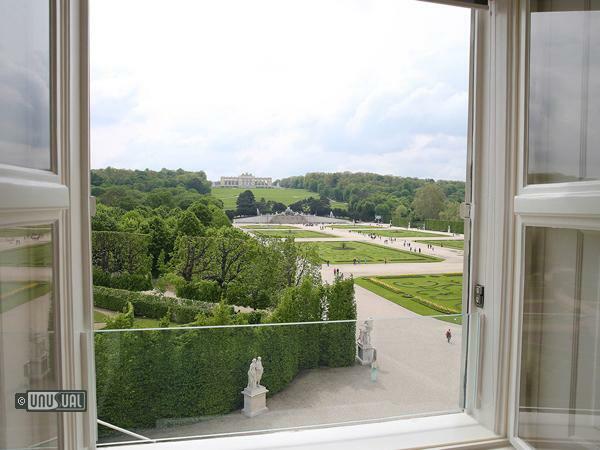 The views are an unforgettable highlight: guests staying at the suite have uninterrupted views of the Gloriette, Neptune Fountain, Crown Prince Garden and the 160 hectare Schlosspark. The new suite exudes imperial charm, with the interior and finishings taking their cues from the decorative style running through the rest of the former Habsburg summer residence. 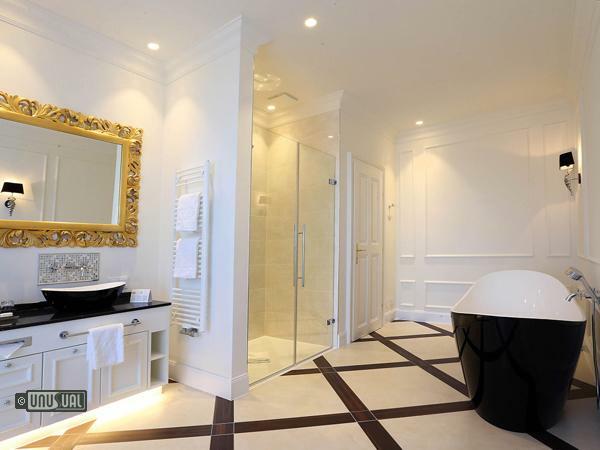 Gold, black and white provide the colour scheme, combined with luxury wood elements and the court damask design. Also known as pineapple damask, this famous red fabric was used in the decoration of all of the Habsburg residences in the 1830s. Delicate stucco work, Maria Theresa chandeliers, and herringbone parquet floors complete the imperial ambience. 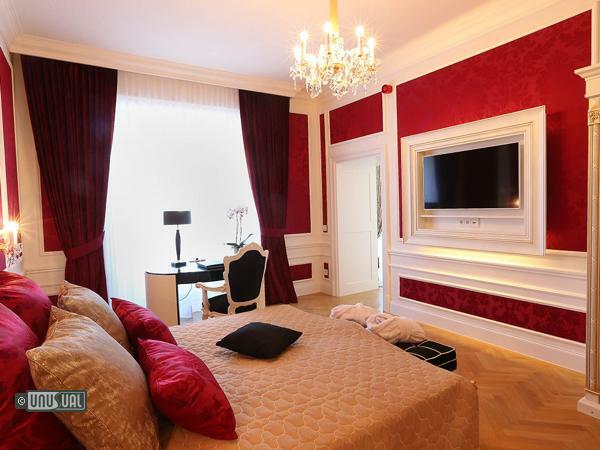 Guests check-in at the nearby four-star Parkhotel Schönbrunn, run by Austria Trend Hotel, which operates the suite. The Suite 2 bedrooms, 1 Salon, 1 Kitchenette and 2 bathrooms. 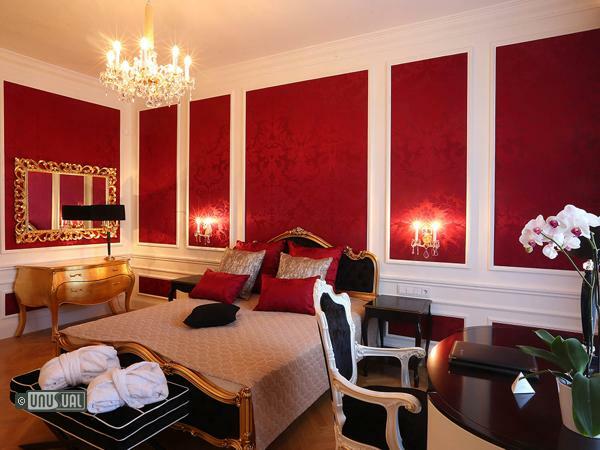 Eur:- €4900 per night for 1-4 people. Children under 16 are not admitted to this property. 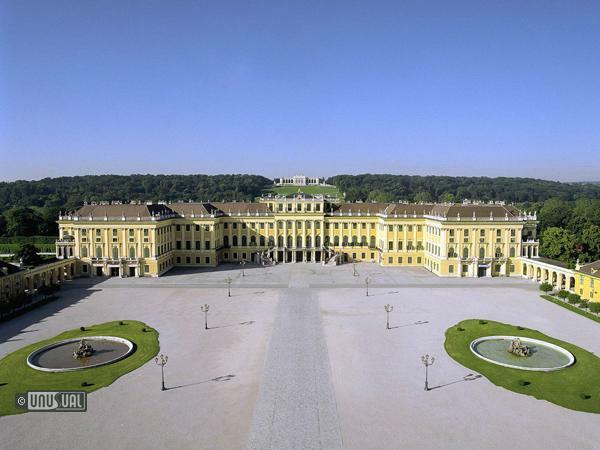 The Schloss Schoenbrunn Suite is located directly inside the Schoenbrunn Palace. So its parks and attractions like the Palm House, or the Schoenbrunn Zoo, the oldest zoo in the world, are closer then you can imagine! 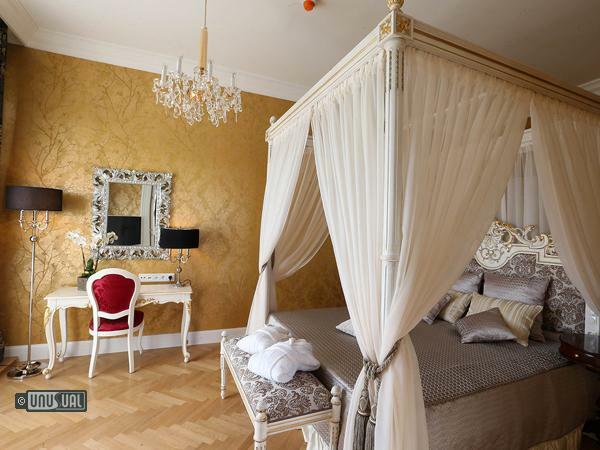 What is more, the master bedroom allows a direct view to the Gloriette. I am very, very impressed with the Palace in Vienna and the services that would be enjoyed. Thanks for sharing this information and pictures.